The New Pumpkin Carriage with the October haunting moon. 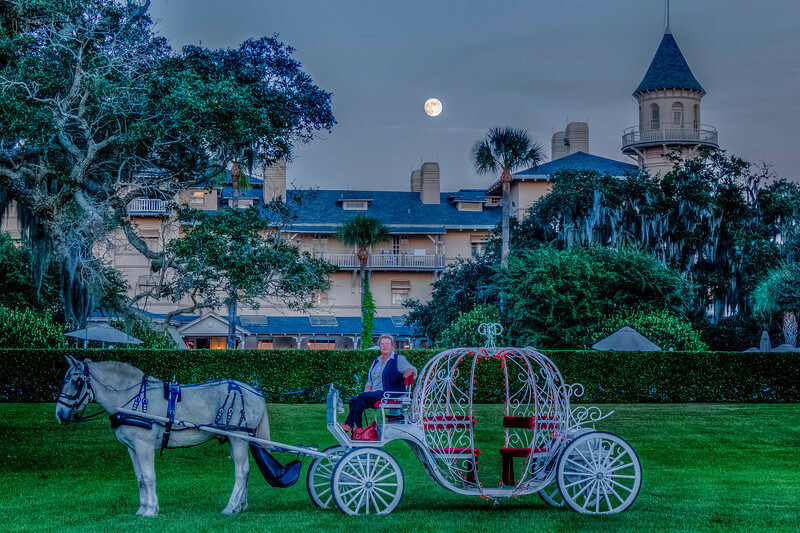 The Jekyll Island Stables and Museum Tours give tours in front of the Jekyll Island Club Hotel and in October give a haunting tour of the many cottages in the historical district renewed in the middle of the 1980's. 18-55mm at 55mm pp with Photomatix and Lightroom 5 for lens profile correction.